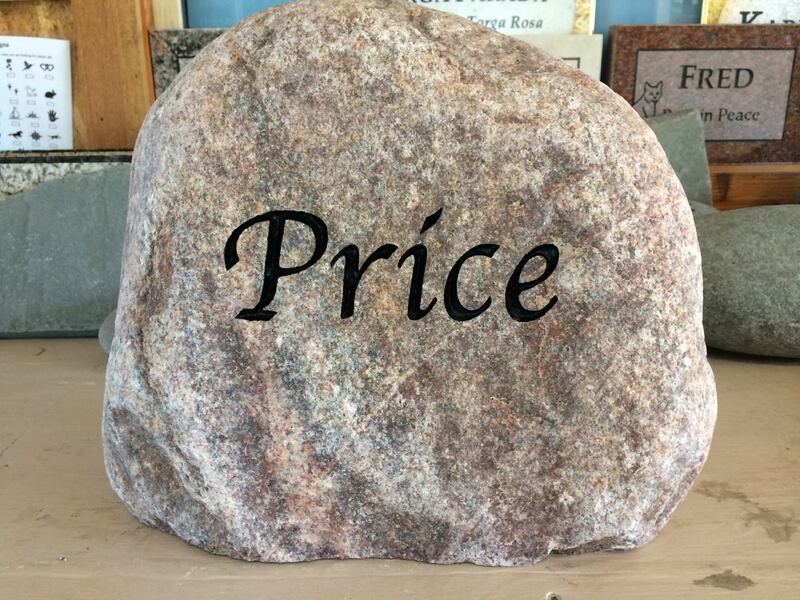 Our custom engraved stones are great additions to the landscape and unique gifts. 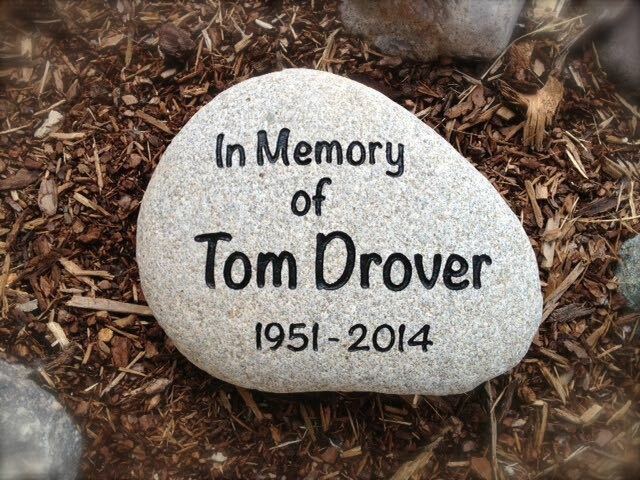 Our western river rock memorials are perfect for any garden setting. 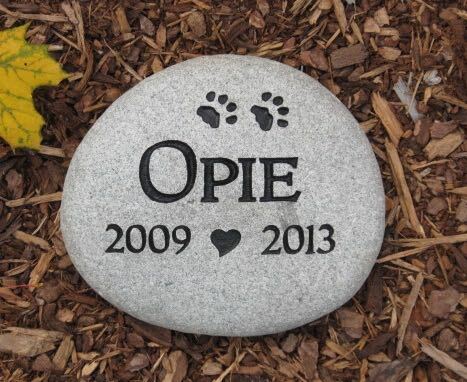 They are a wonderful way to commemorate a beloved animal companion. 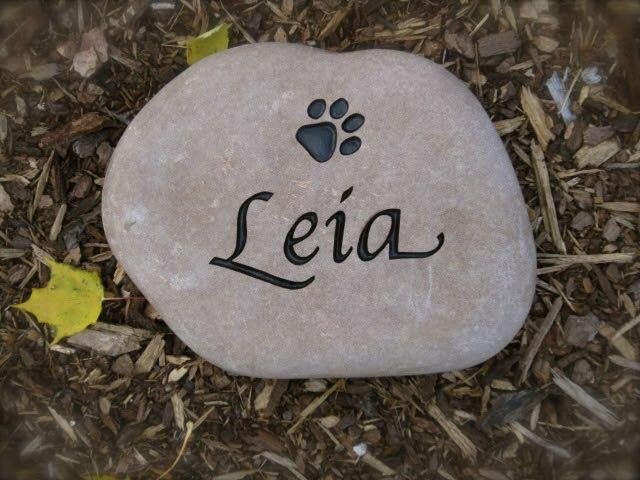 SMALL Name with Paw Print, approximately 5-7 inch diameter, starting at $30 plus tax and shipping if needed. MEDIUM Name with graphic and birth and death years approximately 7-9 inch diameter, starting at $56 plus tax and shipping if needed. LARGE Name and graphic starting at $76 plus tax and shipping if needed. 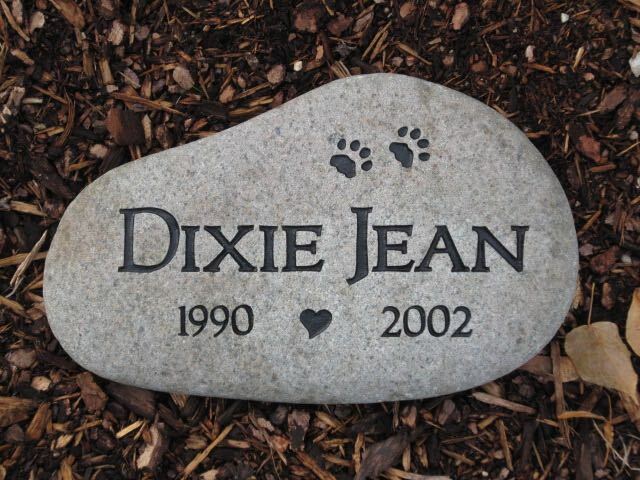 Our custom engraved memorials are a beautiful remembrance of your loved one. Perfect in any park or garden setting. 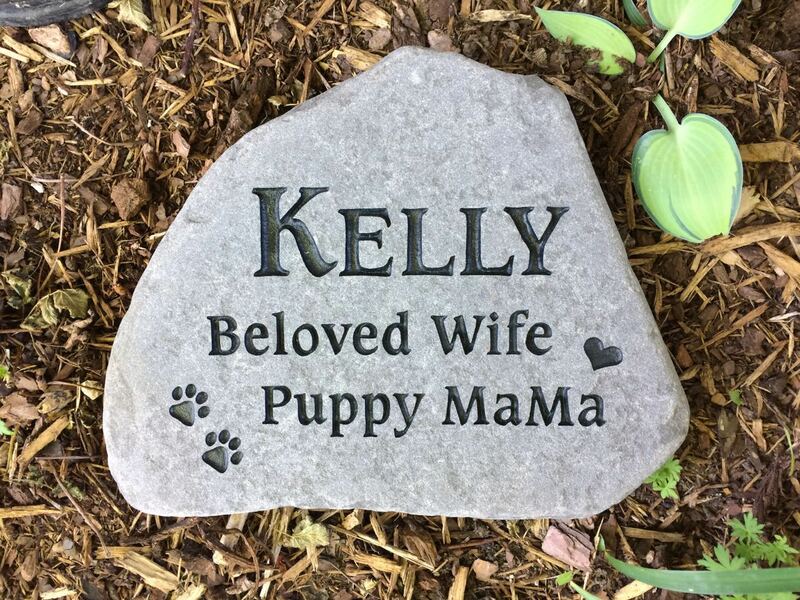 Priced individually based on size, text, and graphics..
Our custom engraved bluestone memorials are a beautiful remembrance of your loved one. Perfect in any park or garden setting. 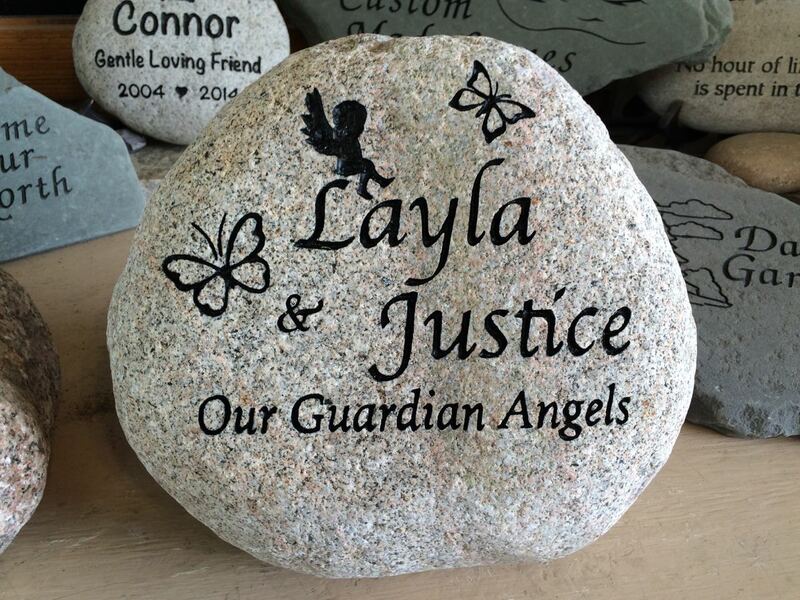 Our custom engraved granite memorials are a beautiful remembrance of your loved one. Perfect in any park or garden setting. Priced individually based on size, text, and graphics. 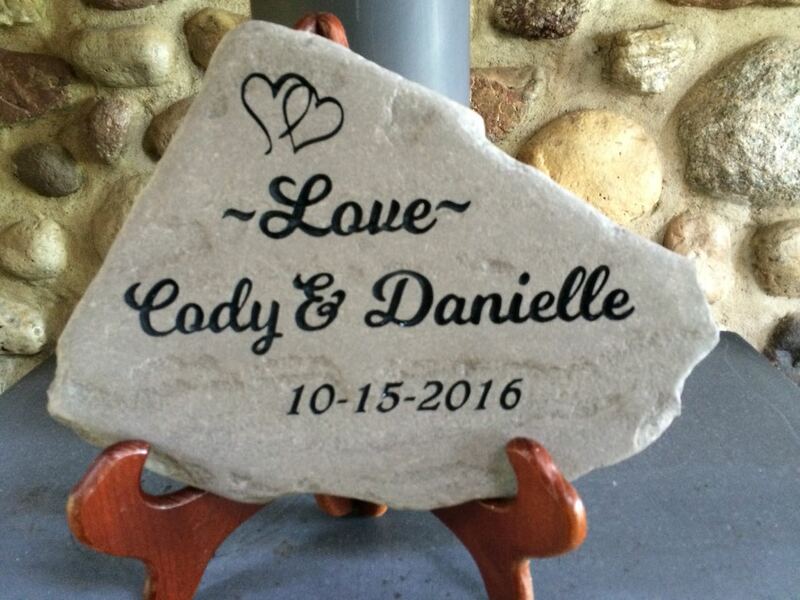 Our custom engraved river rock wedding stones make great wedding and anniversary gifts. 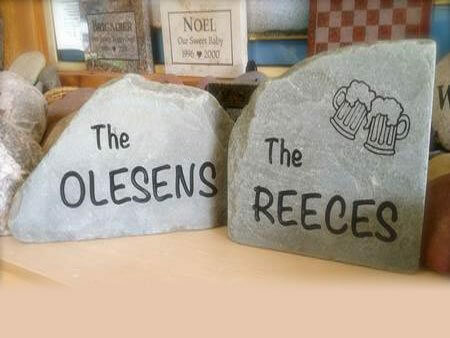 Our custom engraved bluestone wedding stones make great gifts for weddings and anniversaries. From small indoor stones to larger garden stones, we can do it. 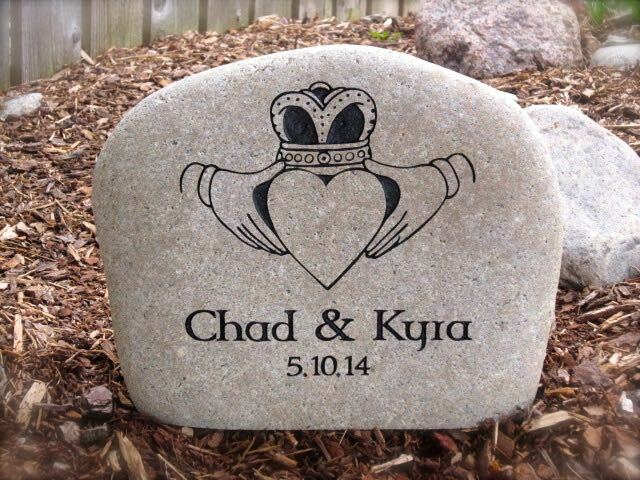 Our custom engraved granite wedding stones are great in the newlyweds' yard or garden. These also make great anniversary gifts. 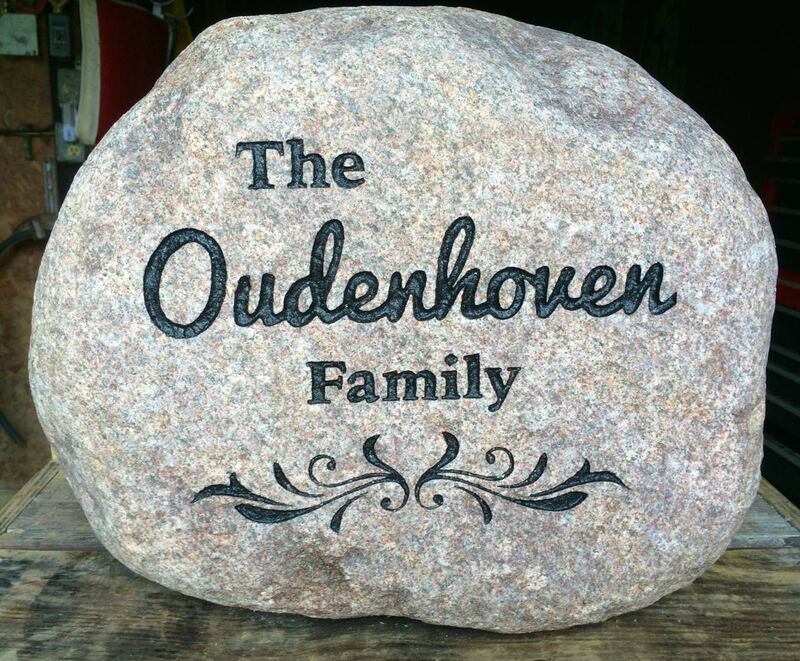 Granite cobblestones engraved with a surname make great gifts! These make great gifts! Think wedding, anniversary, or house warming. 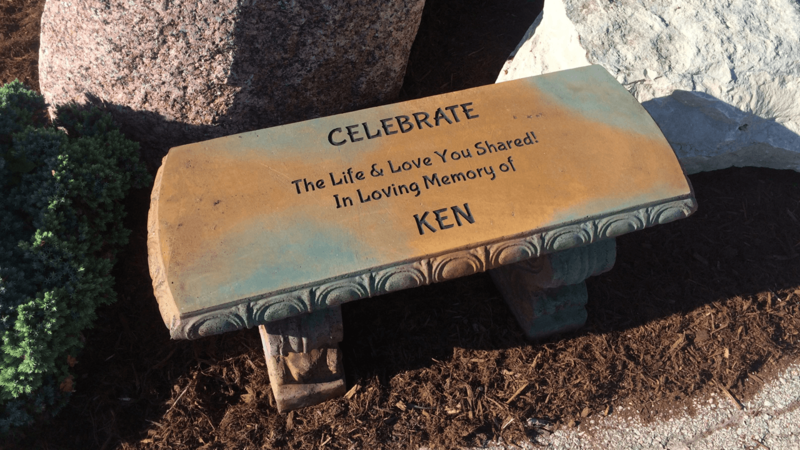 Our custom engraved benches are a beautiful remembrance of your loved one. Perfect in any garden setting. Call for availability.